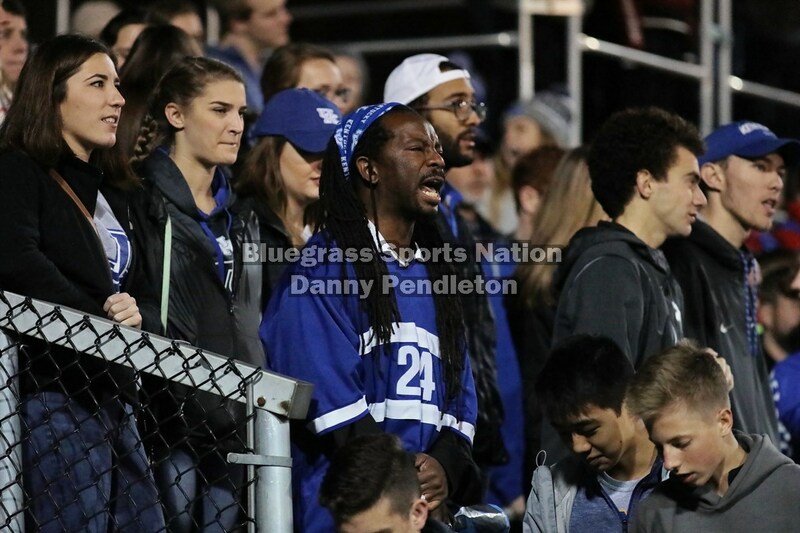 LEXINGTON, KY. – The No. 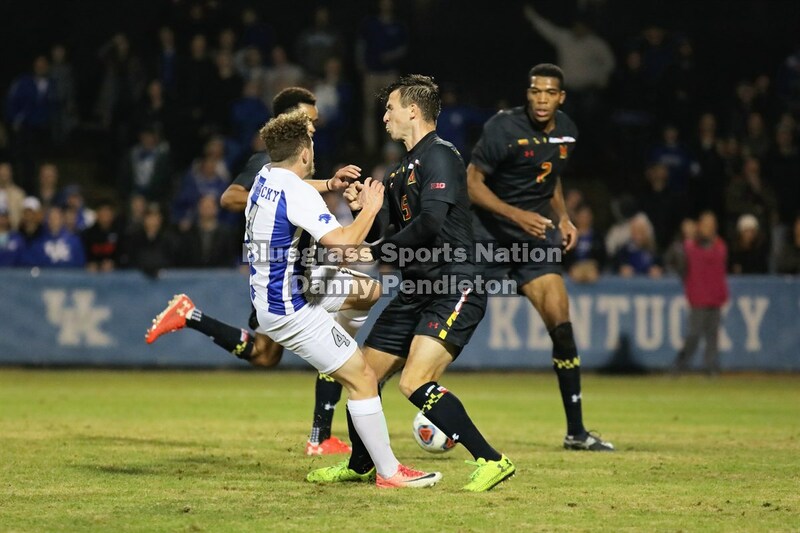 3 Kentucky men’s soccer team’s program-record season ended in the Elite Eight of the NCAA Tournament as the Wildcats fell 1-0 to No. 11-seed Maryland on Friday in front of 3,228 fans at The Bell. 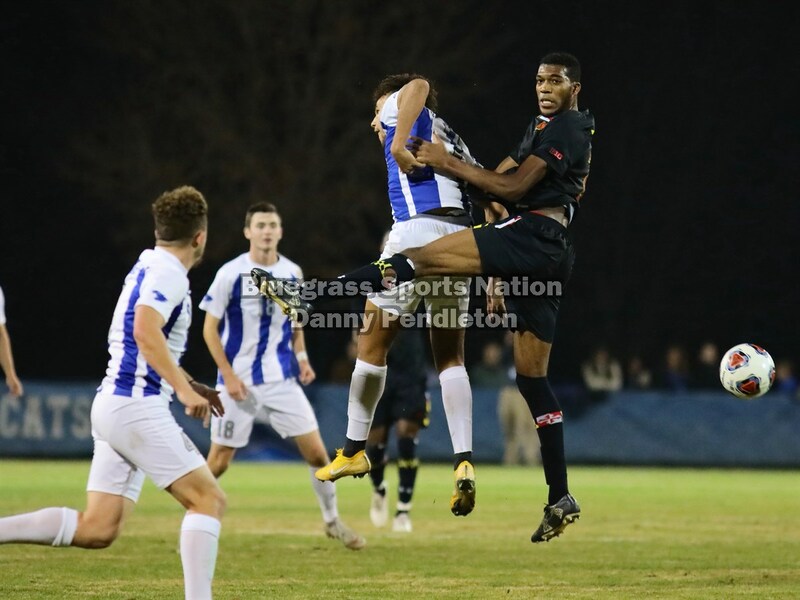 Sebastian Elney finished The Terrapins’ goal in the 28th minute. 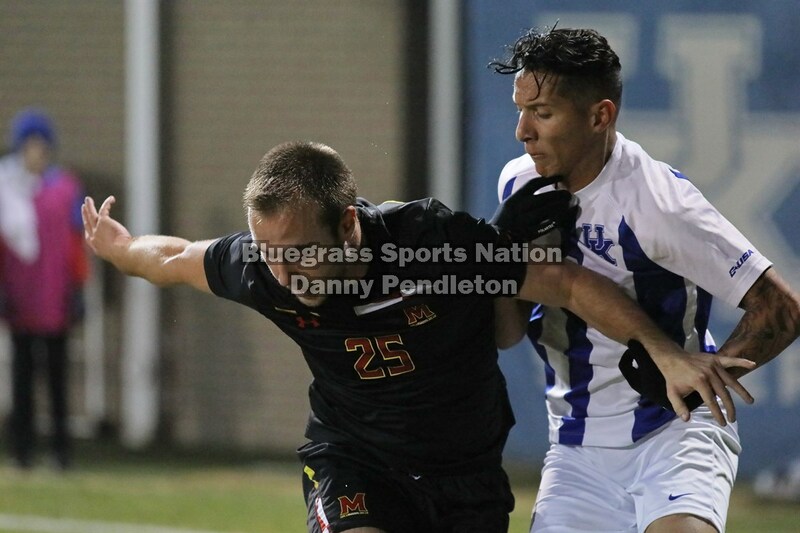 The two teams each took nine shots with Maryland putting four on goal including the one that went in compared with two UK efforts on frame. JJ Williams and Aimé Mabika led the Wildcats with three shots apiece. Enrique Facusse made three saves. 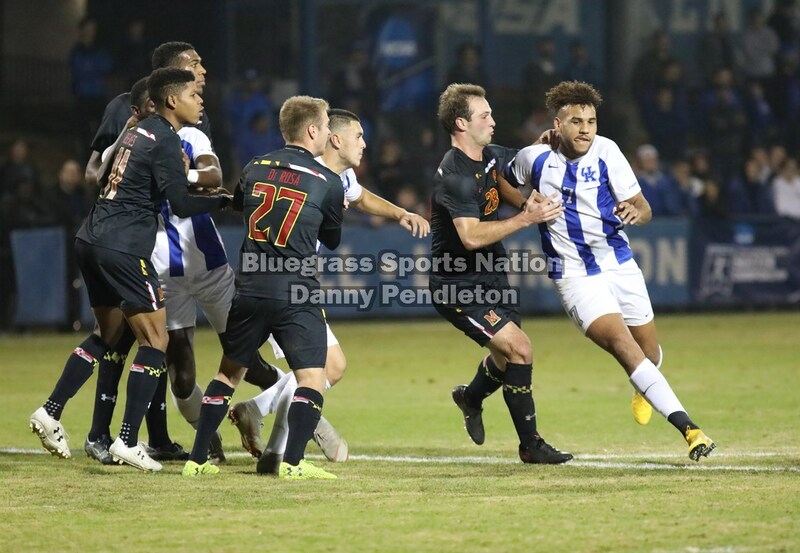 Maryland goalkeeper Dayne St. Clair made a spectacular reaction save in the 78th minute to preserve the Terps’ lead, stopping a rifled misdirected clearance. UK had the lions’ share of possession and had multiple near chances throughout the game that Wildcats just couldn’t quite finish. 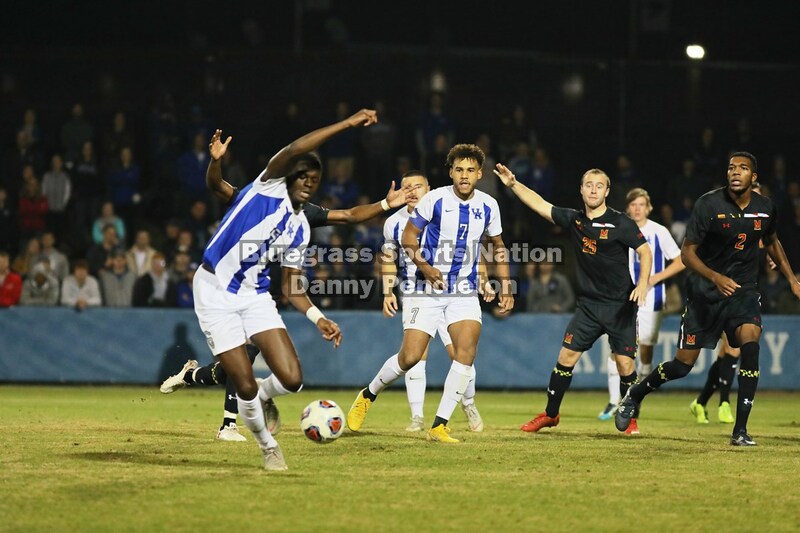 Kentucky ended its 2018 season with a program-record 19 wins and the University’s first-ever trip to the NCAA Quarterfinal round. Maryland advanced to play No. 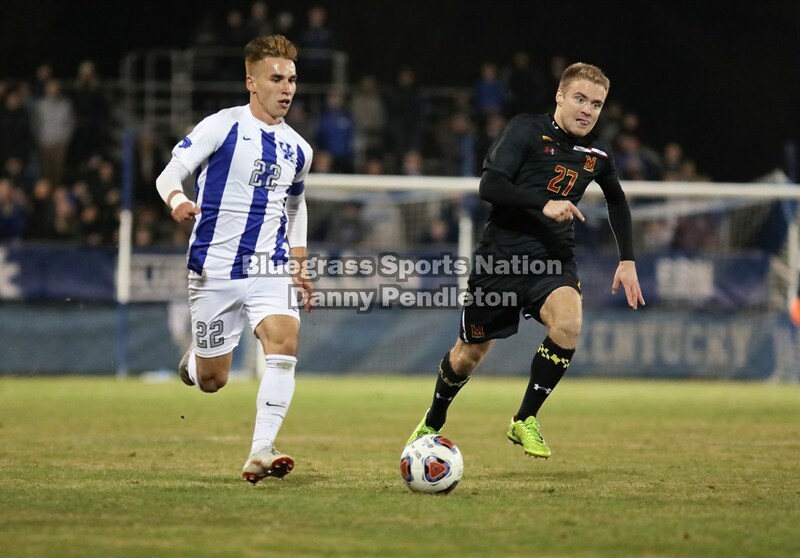 2 Indiana in the College Cup semifinals next Friday in Santa Barbara, California. “As you can see on my guys to my left and my right, very disappointed to be here,” UK Head Coach Johan Cedergren said. “I thought we played an okay game. When you get to this level, when you get to an Elite Eight, the teams that you play are going to be pretty special and I think that we gave them one chance in the first half and, again, a good team is going to take care of their chances. We go in 1-0 at halftime and then we talk, make some adjustments and I think we were all over them in the second half, but it’s just one of those where that final product, final touch, losing your marker, whatever you want to say. Quality of the cross. 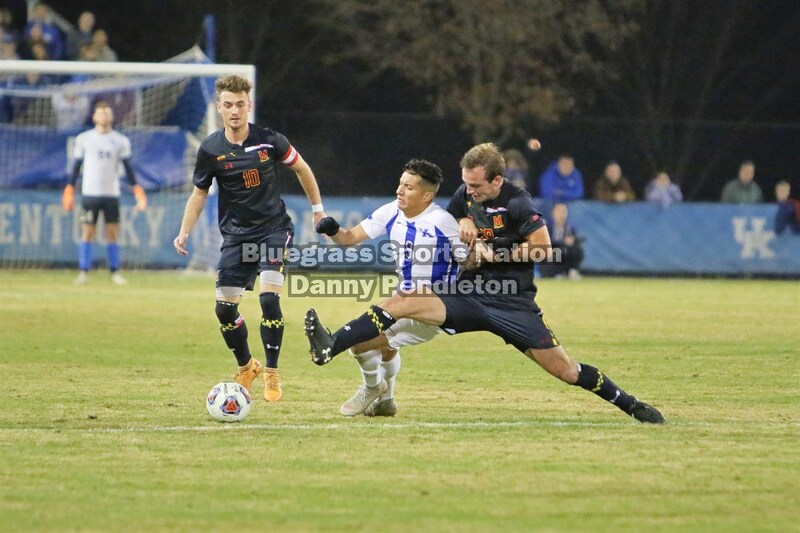 Kentucky ended its 2018 season with a 19-2-1 won-lost-drawn record. Maryland improved to 11-6-4. 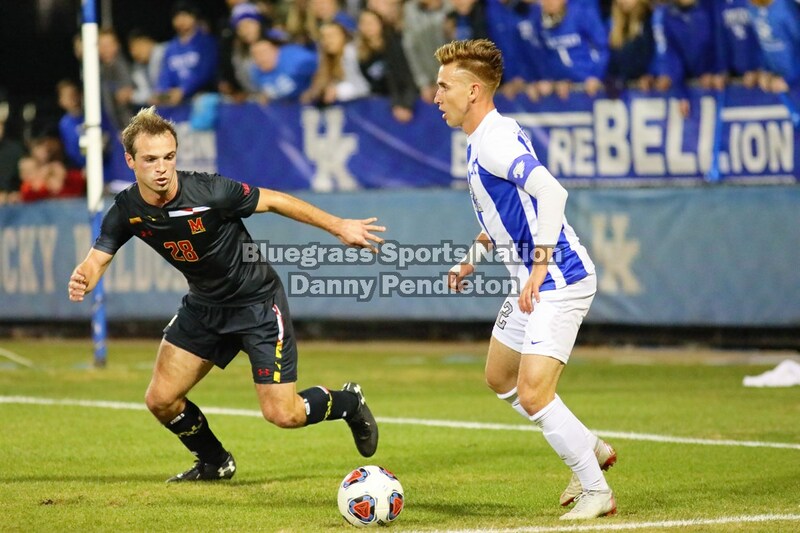 Maryland snapped UK’s 10-match winning streak. 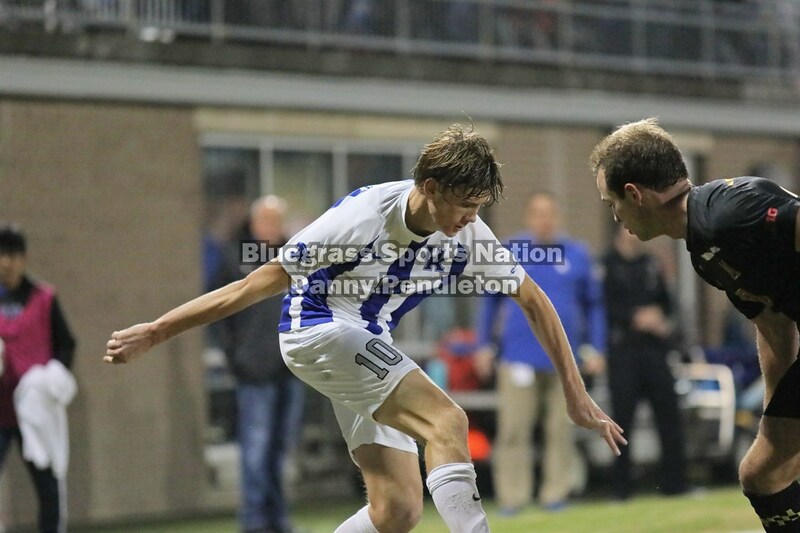 UK was shut out in a game for only the second time this season – a 0-0 draw at Xavier on Sept 11. UK lost at home for the first time this year concluding the season with a 12-1 mark at The Bell. 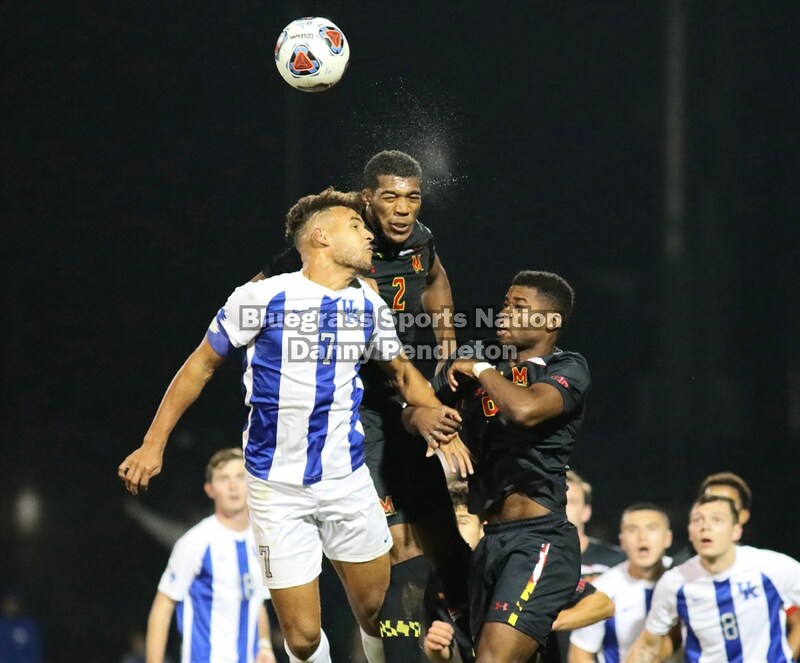 The Wildcats scored 32 goals and conceded just three at home this year, although they allowed two of those over the past two weeks. 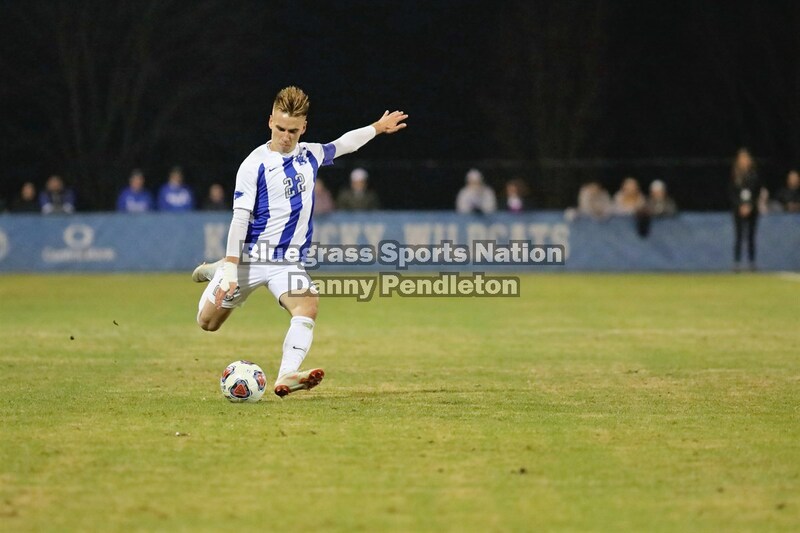 UK finished the season with all-time program bests for goals allowed (11) and goals against average (.49). 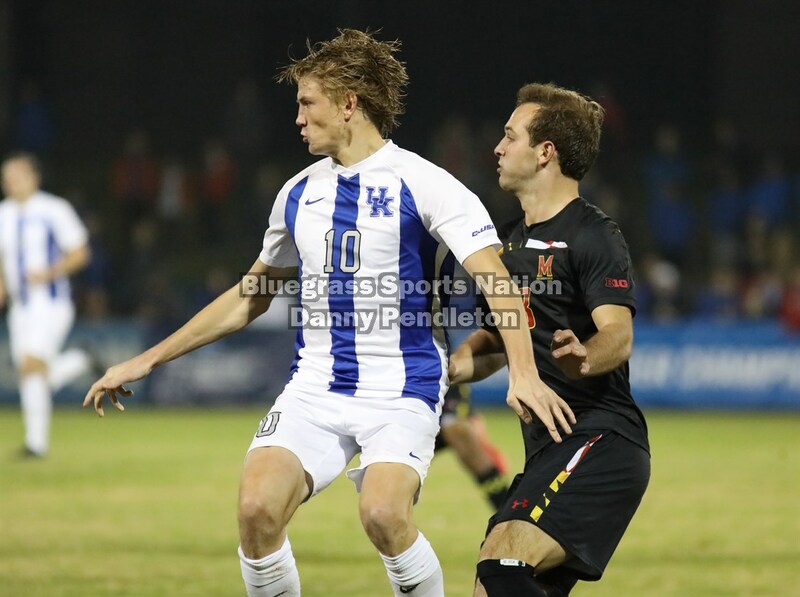 The Wildcats tied the 1995 UK team for the program record for goals scored in a season (49). 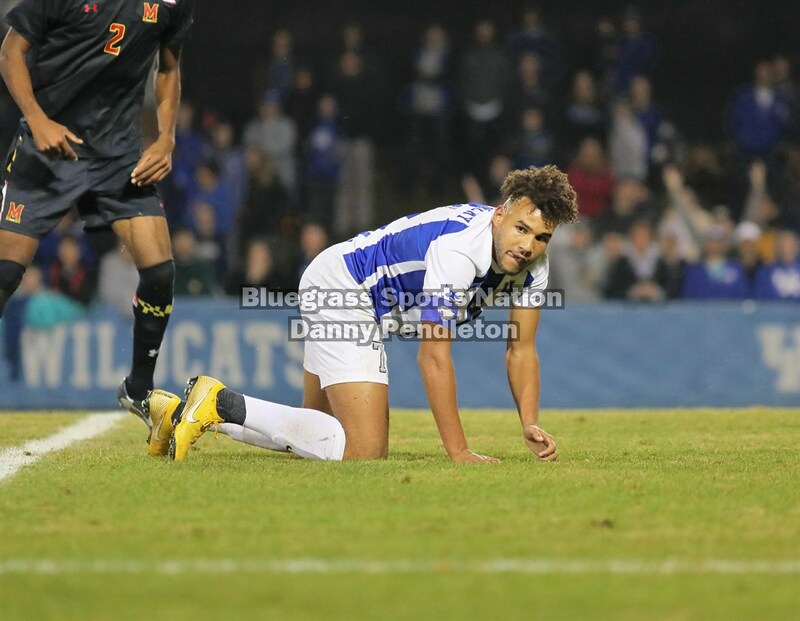 Junior co-captain JJ Williams, a semifinalist for the MAC Hermann Trophy, set the UK single-season record for goals (18), game winners (nine) and total points (two for a goal, one for an assist) – 44. Co-Captain Tanner Hummel, the Wildcats’ lone senior, ended his career having won the Conference USA regular-season title twice, a league tournament crown and led the Wildcats to their best-ever NCAA Tournament finish. The four-year starter made 74 appearances and 72 starts over his career – seventh most in program history. The Wildcats kept a program record 14 shutouts this season, a total which is second most in the nation. Sophomore winger Kalil ElMedkhar scored 11 goals and assisted 11 times this season. He finished the year tied for the second most in a single season by a Wildcat, two assists away from tying the record. ElMedkhar ranked ninth nationally for total points with 32 for the year. Facusse’s .49 individual goals against average ranked third in the nation. He saved 60 of 71 shots this season, 85 percent, which ranked in the DI Top 10. 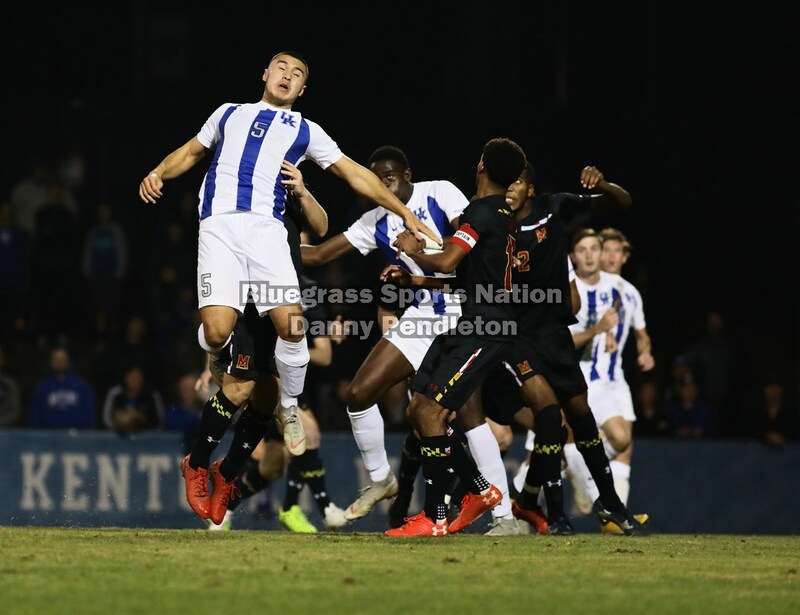 UK finished the year 5-1 against teams ranked in the Coaches top-25 at the time of the match. Maryland evened the all-time series between the sides at 1-1. 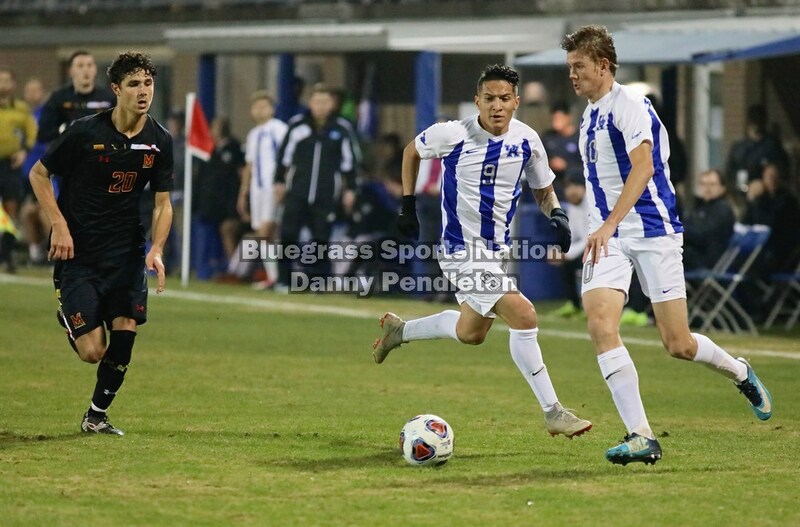 UK had earned a 2-1 result at a neutral site in an early-season Tournament in Virginia in 2002. UK made its ninth NCAA Tournament appearance in its history, and is 3-9-2 all-time in The Big Dance. UK is 2-5-1 at home all-time in the NCAA Tournament with both wins this year. Cedergren named an unchanged starting 11 from the one that began a 2-1 Sweet 16 victory against Lipscomb last Saturday. 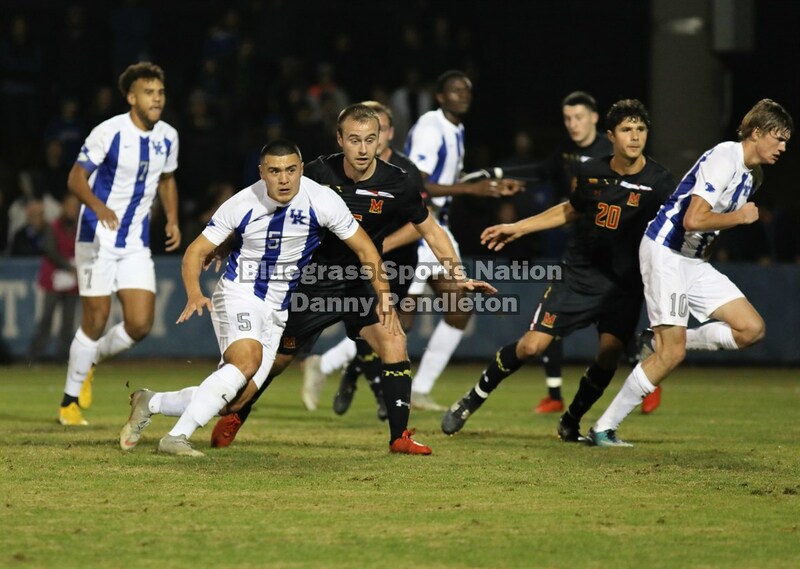 The Wildcats claimed Conference-USA’s automatic bid into the NCAA Tournament by winning the Conference Tournament to go along with the league regular-season crown. UK received a bye into the second round and defeated No. 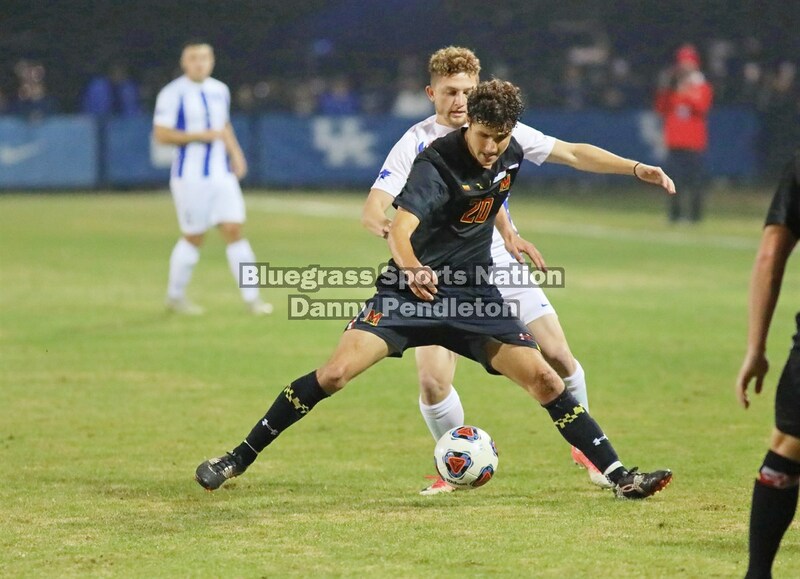 21 Portland on November 18th, then won against Lipscomb last Saturday to advance to the first NCAA quarterfinal in school history. Maryland also received a bye into the second round of the 48-team Big Dance. 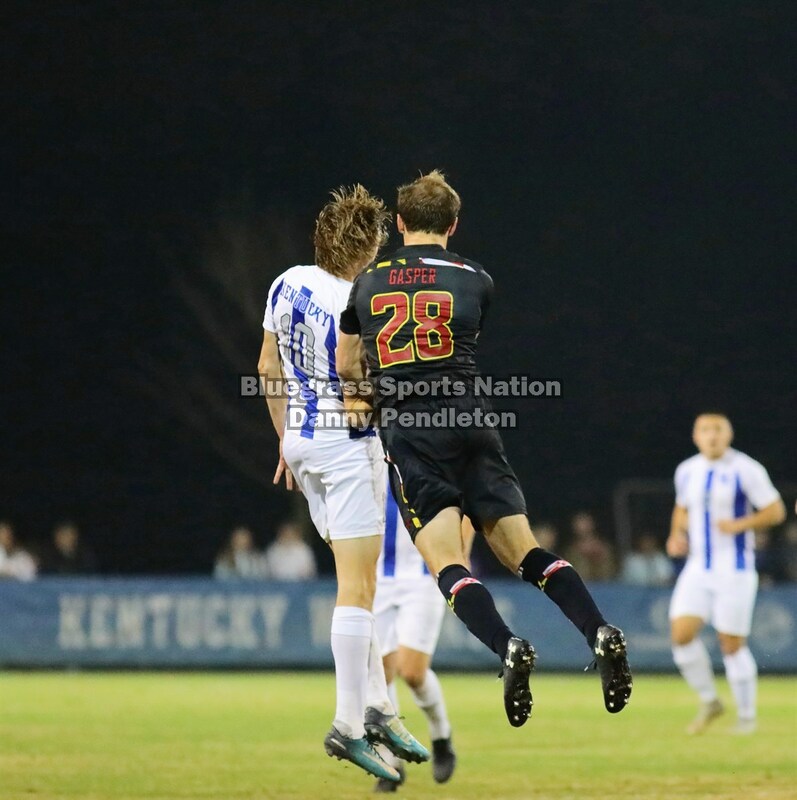 On Nov. 18, the Terrapins defeated NC State 2-0 to advance. They then won 2-0 at No. 6 Duke last Saturday in the Sweet 16.